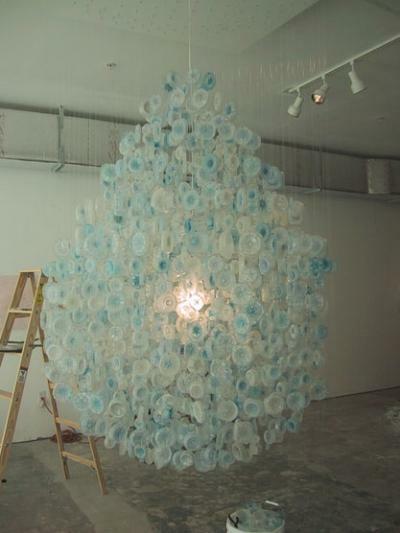 These are some pics demonstrating a project where three students are making a plastic bottle chandelier for thier art class. The students described the activity - "It's turning out well so far, but we've all come out with battle scars but the fun we have is worth it. Everyone is going crazy! I love art." 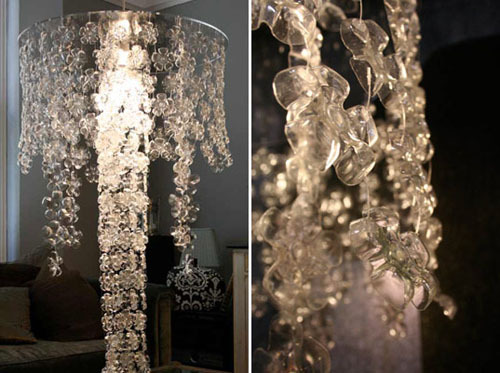 Thee finished chandeliers are to be displayed in thier school.